AIS remains one of the UKs largest privately owned industrial moving companies. In 1982 Ainscough Engineering was formed as part of the Ainscough Crane Hire Group. The company began a national expansion program and in 2001 due to the success and size of the business it became a limited company in its own right. In March 2005 Ainscough Engineering acquired Pickford’s Vanguard (an amalgamation of Pickford’s Industrial Services and Vanguard Engineering) becoming Ainscough Vanguard becoming one of the largest national industrial moving companies across the UK and Europe well known four our skills and experience in heavy and technically lifting. Ainscough Industrial Services is one of the UK’s largest privately owned industrial engineering companies and supports three subsidiary businesses; AIS Vanguard Ltd; AIS Projects and AIS Seward Wyon Ltd providing engineering services to industry covering Machinery Installation and Relocation, Mechanical Engineering, Technical and Heavy Lifting and Engineering Consultancy & Contracting. 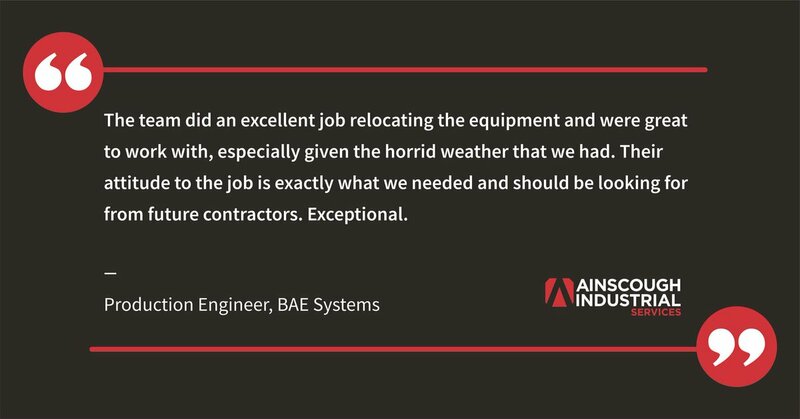 Nationwide coverage providing expertise in all aspects of mechanical engineering, machinery relocation and machinery installation, technical and heavy lifting. Undertakes large multi-disciplined projects where the primary emphasis is AIS Vanguard work supported for turnkey works with strategic partners in M&E. Specialising in large Factory relocation and international heavy equipment moving. Undertakes bespoke design, inspection, consultancy, technical lifting and mechanical services best known as Engineers; Contractors; Consultants. Ainscough Industrial Services have built our reputation on reliability, quality and safety and as such are recognised as one of the UK’s leading experts for machinery relocation & removal. Ainscough Industrial Services specialises in technical lifts and complex installations. Our skilled engineers draw on various engineering disciplines to ensure the machinery installation runs as smoothly, simply and safely as possible. 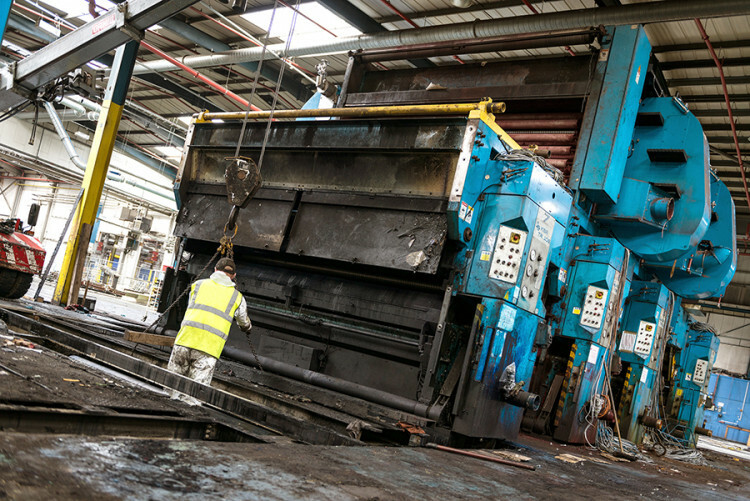 Whether the project is the removal of a single machine, production line or complete factory relocation, we have unparalleled levels of experience and highly skilled teams which ensure a professional, smooth transition. Lifting projects can be carried out as a pure lifting operation or as part of a full mechanical or electrical installation. Megalift Jacking Systems are designed for complex lifting projects, where traditional lifting methods are not an option. With 150 employees with the average length of service being 14 years Ainscough Industrial Services have built our experience, reputation on reliability, quality and safety.